What is Urad Dal (Black Gram)? 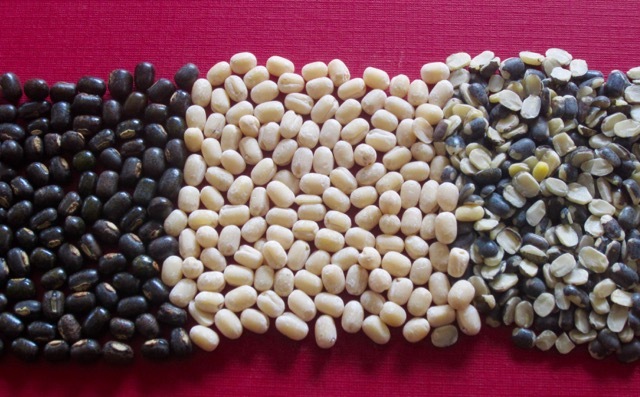 Common Names: Black gram, Urad dal, urd bean, urad bean, minapa pappu, black matpe bean, mungo bean or Haricot urd, urd (French). Feijão urida (Portuguese). Mchooko mweusi (Swahili). 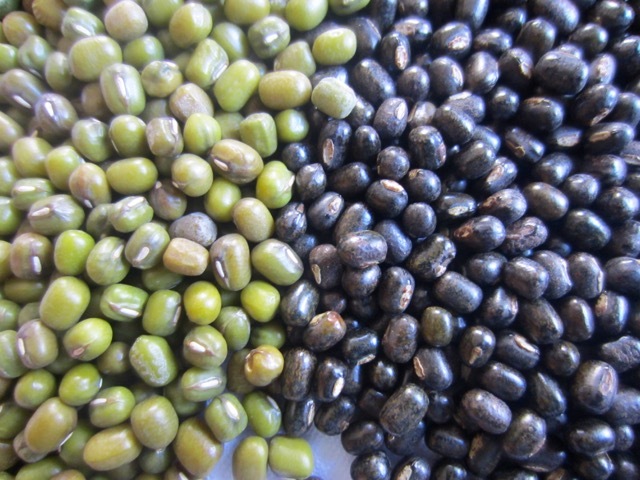 Below is a photo of whole black gram (Urad Dal) with Skin, whole skinless black gram, and split black gram with skin. Black gram can be sold whole with skin, whole skinless, split with skin or split without skin. Where is Black Gram Grown? 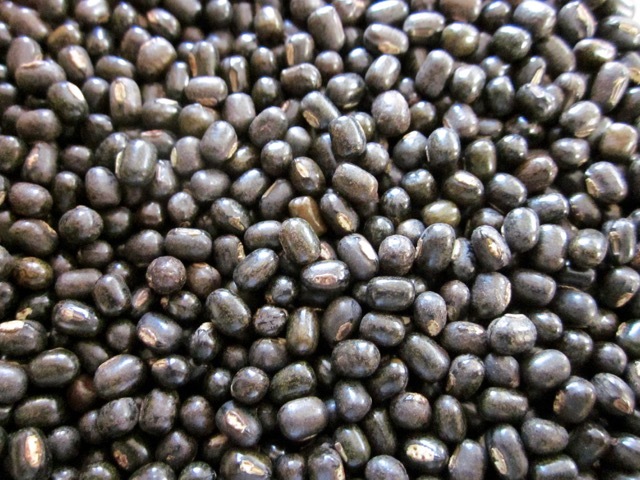 Whole black gram (Vigna mungo) is sometimes marketed as black lentil but it’s not a lentil. Please do not confuse black gram with Black beluga lentils (Lens culinaris) see the picture on the right. Also the split grams without skin may sometimes be marketed as white lentils but again, it’s not a lentil (Lens culinaris). In general black gram may be called black lentils or white lentils but it’s not a lentil. It’s a gram. 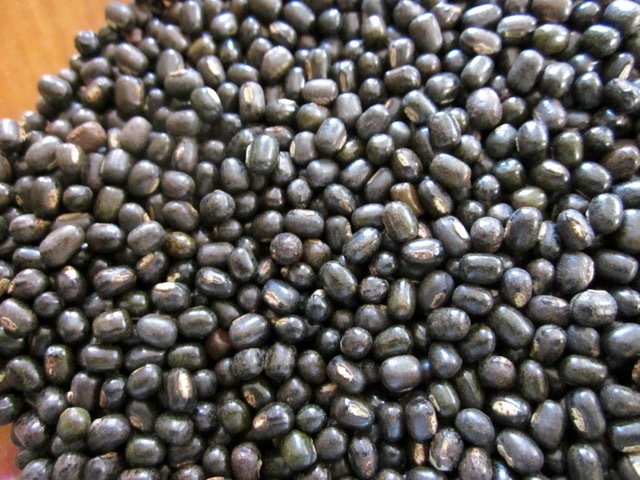 Black gram is popular in Northern India where the bean is boiled and eaten whole. It can also be be split and made into Dal (black gram soup). The whole gram has an unusual mucilaginous texture, more like cooked oatmeal. To cook the whole gram, it is best soaked overnight and cooked slowly over low fire until it’s falling apart. With modern advancements, it is now mostly cooked using a pressure cooker. The whole gram is very popular in the Punjabi cuisine where it’s used to make Dal Makhani (Dal Makhni). The primary ingredients are whole black gram (Urad Dal), red kidney beans (rajma), butter and cream. It can also be prepared with yoghurt or dairy instead of cream. Black gram can also be used as a seasoning. A teaspoon or two is sautéed in hot ghee at the beginning of cooking to give a nutty flavour, add texture and thicken the dish. The split black gram are also known as Chilka Urad dal. It does not requite soaking but can be soaked for 30 minutes only otherwise the skin might come off. It’s used to make Dal (black gram soup). The split gram is first boiled with turmeric and salt and then different seasonings (tadka) are made using different ingredients and added before serving to flavour it. This process of making seasoning is called tempering. Black gram flour (Urad Atta): is made into ‘papadum’ (a crispy indian cracker usually served as an appetizer or with drinks in Indian restaurants). I have always wondered how they are made and today I found a very good you-tube video on how to make papadum (Papa). I think I’m going to try it some time next week. How exciting! The skinless whole Urad dal can also be made into dal (back gram soup). The green immature pods are eaten as a vegetable. The Pods and foliage (leaves) can be used to supplement cattle feed or used as forage-pods to feed to cattle after the black seed is removed. 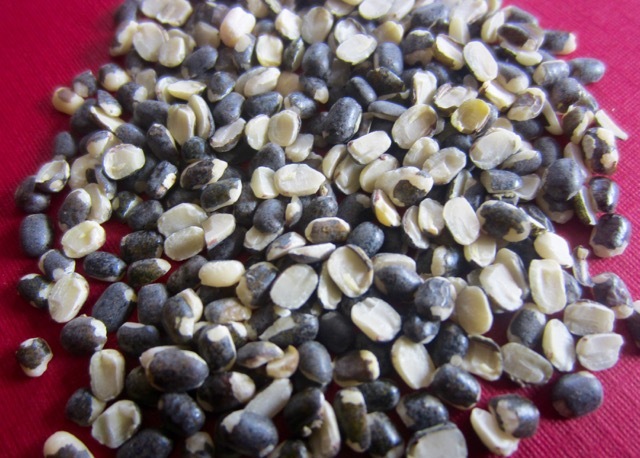 Black gram seeds are sometimes sown as a cover crop or for green manure. Black gram is very rich in protein and carbohydrate. It also has a good amount of folate, iron, magnesium and phosphorus. Its very nutritious. 100g 3.5oz black gram has about 8.6g water, 351 calories, 25.1g protein, 1.8g fat, 61g carbohydrate and a fair amount of B-vitamins. Black gram is closely related to green gram but they are different in colour and taste as well as nutrition and use. Both are used to make Dal (soup). var. silvestris Lukoki, Maréchal & Otoul, the wild type. Compared to cultivated types it is smaller, more climbing, more hairy, with denser inflorescences and small seeds with prominent raised aril; it is considered the ancestor of the cultivated black gram. For cultivated types a classification into cultivars and cultivar groups would be more appropriate. 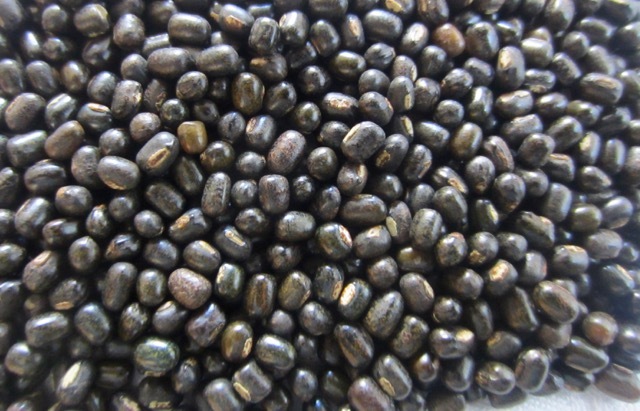 Vigna mungo (L.) Hepper also known as black gram, urad bean, minapa pappu, mungo bean or black matpe bean. V.mungo and V. radiata are very closely related. Vigna umbellata (Thunb.) Ohwi & H.Ohashi also known as rice bean. Vigna aconitifolia (Jacq.) Maréchal. 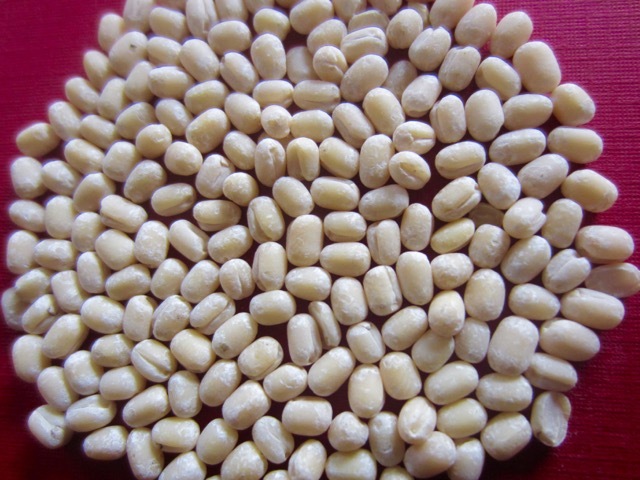 It is commonly called mat bean, moth bean, matki, Turkish gram or dew bean. Vigna unguiculata (L.) Walp. Also known as: Black Eyed Pea, Cowpea, Pea Bean, Black Eyed-Bean, China Pea, Bombay Cowpea. Southern Peas, Black eye Peas, Crowder Peas, California blackeyed pea. Also includes the yardlong beans. Prev What is Demerara-style Sugar? how fascinating! That papadam video was great! I really loved that video. I’m planning to make some papadum. I was so mesmerized because I never knew how they’re made!!! At first I was thinking a black adzuki? Great article. Great post on urad dal !